Ask Laila Zichmanis, the CEO of Lumena, about what she thinks of the Canadian space industry and she'll likely start with her passion for astronomy and her curiosity about exploring strange new worlds. But then she'll get serious and remind you that this specific industry is simply a bunch of public and private organizations and individuals, each needing to be defined and then promoted, just like any other industry seeking out new markets, clients and customers. Zichmanis thinks that her firm can help. She's spent the last 20 years developing expertise in brand management, what she calls the "science" of marketing, and knows that an appropriate brand management strategy will attract new customers and add value to existing customer relationships, no matter what the industry. 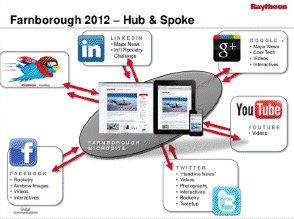 Raytheon social media at Farnborough 2012. 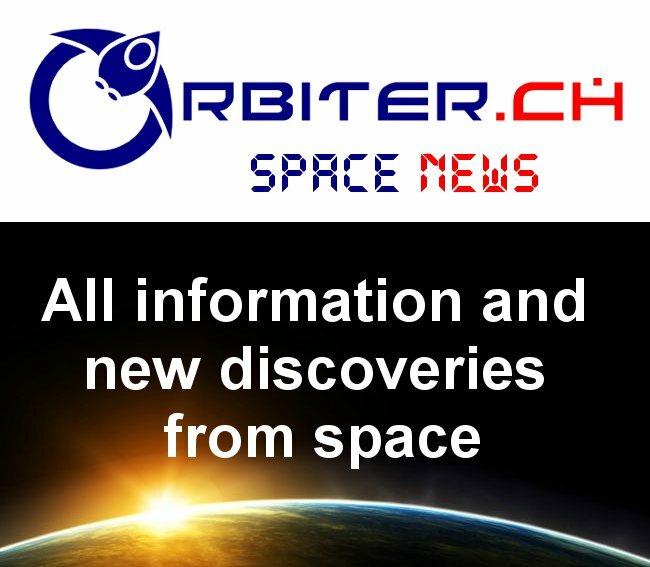 "Smart space companies are using brand management techniques to actively market themselves today," stated Zichmanis, during a recent interview. "Raytheon is using social media. Armadillo Aerospace has an official online forum to tie together supporters and is also posting flight tests on You-Tube. Masten Space Systems used the NASA Lunar Lander Challenge to promote its brand and Space-X has 160,000 twitter followers (@spaceX) to get the word out on every single Falcon-9 rocket launch." Of course, the most recent space branding success story belongs to astronaut Chris Hadfield (@Cmdr_Hadfield) who has been sending ongoing tweets to almost 600,000 social media followers during his six month stay aboard the International Space Station (ISS). Is Chris Hadfield Canada's current top brand marketer? But according to Zichmanis, the methodologies used by Hadfield are understandable and reproducible. "Brand management is a system. It starts with a clearly articulated, laser focused brand strategy, followed by a plan to bring that strategy to life through not only marketing, but through every part of the organization, followed by the actual execution of the plan, followed by measurement. Then the cycle from planning to execution and measurement repeats, leveraging lessons learned from previous efforts to form the new plan." In other words, anyone looking to build a unique point of difference to which customers will flock and get the word out about their product or service, especially if its something related to space, might just want to give her a call. BC based MacDonald Dettwiler (MDA) has two pieces of good news to be thankful for this weekend. The MSS. 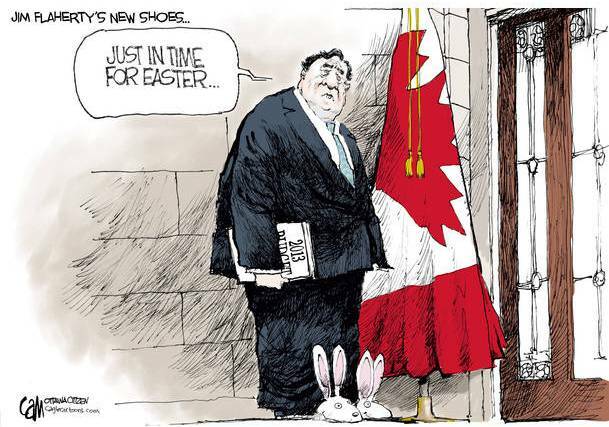 Graphic c/o Canada Connects. On Thursday, the Federal government renewed the existing MDA contract to support operations and maintenance of the International Space Station (ISS) Mobile Servicing System (MSS) until December 2015. 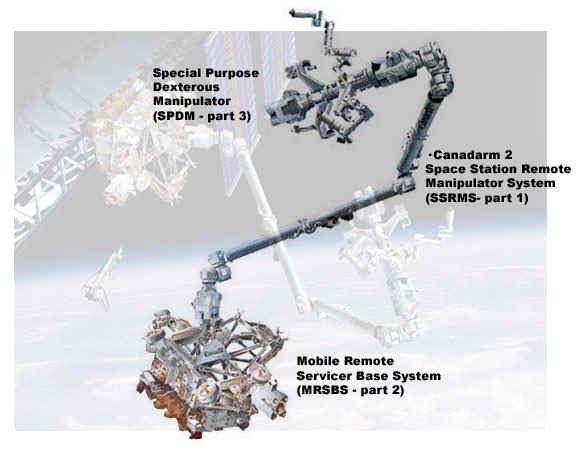 The Canadian developed MSS played a critical role in ISS construction and currently assists with the berthing of visiting vehicles such as the SpaceX Dragon and Japanese HTV spacecraft. It has also been a key component in recent tests of on-orbit satellite servicing capabilities. 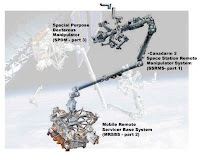 As outlined in the March 28th, 2013 press release "the Government of Canada Awards Contract to Support Crucial Canadian Technology on the International Space Station," the $81Mln CDN contract will cover ongoing real-time technical support, engineering services, flight-specific operational products, software maintenance, and hardware repair for the iconic Canadarm 2 (known formally as the Space Station Remote Manipulator System, or SSRMS), the Mobile Remote Servicer Base System (the MRSBS or "mobile base") and the Special Purpose Dexterous Manipulator (the SPDM or DEXTRE). The announcement came only one day after the March 27th, 2013 Canadian Newswire (CNW) press release "MacDonald, Dettwiler and Associates Ltd. Closes $287.7 Million Offering of Common Shares," which detailed the recent Canadian equity issue of 4,145,750 new shares of MDA stock. According to the press release, TD Securities, RBC Dominion Securities Inc. and BMO Nesbitt Burns Inc., acted as the main underwriters (or "joint-bookrunners") for a syndicate which included National Bank Financial Inc., CIBC World Markets Inc., Scotia Capital Inc., Raymond James Ltd., Cormark Securities Inc. and GMP Securities LP. The day after the press release was issued, equities researchers at TD Securities boosted their target price on shares of MDA from $70.00 to $75.00 CDN. According to MDA Chief Financial Officer Anil Wirasekara, "this is the first time MDA has issued equity to finance its growth." It's quite possible that these new funds will be used for further acquisitions along the lines of the recent MDA purchase of Space Systems Loral (SS/L), as outlined in the June 27th, 2012 blog post "MacDonald Dettwiler buys Space Systems Loral for $875M." In which case, stand by for further announcements and more good news from MDA. A four-legged robot being developed to carry cargo for the US military now sports an arm strong enough to lift and throw 50 pound (23kg) cinder blocks. This robot, BigDog, is made by Boston, MA based firm Boston Dynamics and funded by the US Army Research Laboratory (ARL). Designed mainly for military use, BigDog has been in development since 2005 and is the size of a large dog or pack-mule. BigDog’s legs mimic an animal's legs, and are able to absorb shocks and recycle energy as the robot moves around. It is powered by an engine which drives a hydraulic pump to send oil under high pressure around its plumbing in order to animate its limbs. The robot’s small mule arm attached to its ‘head’ can help soldiers pick up and carry heavy loads as well as smaller tasks. Boston Dynamics reps say that in addition to hauling cargo, BigDog’s technology shows great promise in the area of search and rescue. The robot can already move over rugged terrain (or even slippery ice) while carrying a 340 pound (154 kg) load. It can navigate autonomously and also obey voice commands. 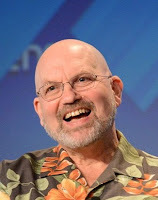 In the March 17th, 2013 Engadget interview "Boston Dynamic's Marc Raibert backstage at Expand," Boston Dynamics President Marc Raibert even dangled out the possibility of Boston Dynamics making robots for the consumer market. It's quite possible thatBigDog’s descendants could carry your groceries home from the store or patrol your property for intruders. Alpha Dog - AKA the Legged Squad Support System (LS3), is being developed for use by the US Marine Corps. The LS3 is able to follow a human (or a squad of them) around while accepting voice commands. The Alpha Dog also has improved walking capabilities that allow it to cross rough terrain. The LS3 even has the ability to right itself if it, for instance, tumbles down a hill. Alpha Dog’s roles could include carry a Marine squad’s bags or even acting as a squad support weapon (if armed). Cheetah - a headless machine whose body is inspired by the fastest land animal on Earth. By angling the feet and allowing its back to flex during strides, the designers created a more efficient range of motion, allowing for higher speeds. Cheetah can reach 28.3 mph (45.5 km/h) on a treadmill, faster than the fastest human. Possible battlefield roles for Cheetah include fast cargo delivery and even hit and run attacks on enemy positions. Petman - A two-legged human-like walking robot developed for use by the US Army to test chemical protection clothing. It performs heel-toe walking at up to 3.2mph (5.14 kmh) and can be pushed without falling over. It can also crawl and do a range of other movements that soldiers may perform so as to ensure accurate testing for the suits. Petman is even capable of sweating and controlling its own temperature. Petman aims to be as realistic a test subject as possible. Sand Flea – AKA Precision Urban Hopper, is a DARPA-funded robot capable of leaping over 10 meter tall obstacles. This height can be limited if necessary so as to minimize impacts. The jumping mechanism works by Sand Flea rearing up on two rear arms and firing a piston. With a small battery to power the on-board electronics, Sand Flea can be remote controlled via GPS link for long-range surveillance. There’s even an onboard stabilization system to ensure smooth video capture during the jump. A CO2 container allows the 11 pound robot 25 jumps before a refill is needed. The Sand Flea is now in use in Afghanistan supporting US troops by allowing areas to be investigated before any soldiers set foot on the ground. The robot’s jumping ability will be very useful for traveling around major obstacles such as walls, or for gaining higher ground by jumping on to a roof. It’s hard to look at these machines and not conjure up images of the robots from the ‘Terminator’ sci-fi universe. In that world, the robots’ goal is to exterminate humans. In reality, our robots may share the dangers with us as assistants and even fellow combatants. Then, war will no longer be a solely human affair. 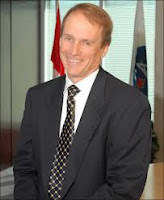 The David Emerson led Federal Review of Aerospace and Space Programs and Policies (usually referred to as either the "Aerospace Review Report" or the "Emerson Report") has just achieved its first two unequivocal victories for the aviation industry. But the review has so far been much less successful in its attempt to get the Federal government to address the concerns of the $3.5 Bln per year Canadian space industry or to address the ongoing structural and procurement issues which were uncovered by Emerson within the Canadian Space Agency (CSA) as reported in the December 5th, 2012 blog post "What the Space Volume of the Aerospace Review Actually Says." Of course, the big wins for the aviation industry are easy enough to find. They're funded line items included within the March 21st, 2013 Federal budget. The first is a 20% increase in funding over the next five years for the Strategic Aerospace and Defence Initiative (SADI). ... was launched in 2007 to fund research and innovation initiatives and research collaborations. Since then, more than $800 million has been committed to new initiatives. The budget extends SADI funding over the next five years with another $1 billion, while acknowledging that the program will undergo a number of changes recommended by the Emerson Aerospace Review to make it more effective, including better integration of post-secondary institutions in research collaborations. 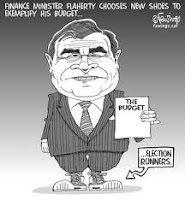 As outlined in the March 21st, 2013 SpaceRef.ca article "Budget 2013 - Space Sector: Please Hold a Little Longer," the government "did include mention of companies who had received (previous SADI) funding but they were all in the aero part of the aerospace sector." The second Emerson win is the new Aerospace Technology Demonstration Program (ATDP), which has been allocated $110Mln CDN over four years beginning in 2014-2015. According to the budget, this new program will "support large-scale technology projects that exhibit strong commercialization potential and promote cross-industry collaboration, including simulation trials, systems integration testing and refinement activities." The ATDP program is essentially identical to recommendation #3 on page 12 of the first volume of the two volume Emerson Report ("Beyond the Horizon: Canada's Interests and Future in Aerospace") which recommended that the Federal government "create a program to support large scale aerospace technology demonstration." A portion of the funding for ATDP (up to $20Mln per year) will come from SADI, while the remainder is expected to be new funding. It is also expected that, while Canadian space companies could certainly apply to the ATDP program, there is no specific incentive for them to do so and the majority of applicants will be large aviation companies like Montreal based Bombardier. ... developing a series of strategic plans outlining the Government's space priorities over the short, medium and long term; establishing a Canadian Space Advisory Council to advise the Government on the development of these plans; stabilizing the budget of the Canadian Space Agency over the next 10 years and establishing cost-sharing models to support the development of new space projects; and implementing measures to expand the level of space-related commercial activity in Canada. Of course, the aviation sector of the aerospace industry already understands that actions speak louder than words and the government has acted accordingly with the new funding for the SADI and ATDP programs. Hopefully the space side of the aerospace industry will figure out the same over the next little while and will then follow down a similar path. After all, the Aerospace Review Report is a two volume report with only part one focused on Canada's Interests and Future in Aerospace (or aviation) and with a part two focused on the entirely different area of Canada's Interests and Future in Space. This coming April, a unique contest sponsored by NASA will take place at the Royal Ontario Museum (ROM) in Toronto. On the weekend of April 19th - 21st, one hundred and fifty developers, designers, scientists, engineers and entrepreneurs will take a stab at thirty NASA-designed challenges as part of the Toronto International Space Apps Challenge, a ‘hackathon’ that is part of the NASA International Space Apps Challenge. This is NASA's second space apps challenge and over seventy five cities around the world will take part in the event. Toronto sponsors include the ROM, the Phuse (an advertising and design agency), the London, Ontario based Centre for Planetary Science and Exploration (CPSX), the HackerNest collective (one of Canada's largest technical meet-ups), GitHub (which provides collaboration, review, and code management for open source and private development projects), and the Canadian Alumni of the International Space University (CAISU). Space enthusiasts from a variety of organizations including web development houses, aerospace firms, and space scientists will form teams and be given 48 hours to build prototypes for presentation by weekend’s end. The challenges are divided into four categories: software, open hardware, citizen science, and data visualization. While building their solutions, teams are free to draw on NASA's extensive inventory of spacecraft, science data, and even games and space exploration apps for information (and inspiration). BitHarvester - A data acquisition and control system for remote renewable energy systems developed by a team at the University of Nairobi. BitHarvester was initially built to monitor and control distant wind turbines in rural Kenya and utilizes the worldwide short message service (SMS) protocol, the same protocol used to send text messages over global cell networks, to harness existing infrastructure at minimal cost. Planet Hopper – A web app built at last year’s Space Apps Challenge by a team in Oxford, UK. Planet Hopper is aimed at students and non-scientists and takes data from the NASA Exoplanet Archive (which collects data on recent and confirmed extra-solar planetary discoveries), then displays it in a visual and fun way. Through a simple interface, you select a star using the system finder and then view its planets. You can make comparisons with each planet to our own. For example, you can find out how long it would take to travel there, how old you would be if you were born there, or how high you could jump if you were standing on the planet’s surface. The Pineapple Project – A toolset that uses existing agricultural, climate and topography data to match groups and individuals in rural areas to tropical crops that are appropriate to cultivate in their specific region. These tools include a website, a mobile app, and a SMS text messaging capability that allows users to receive a planting recommendation based on their location. This year’s Space Apps Challenge comes at a nexus of history for the Canadian space sector. The past few months have seen such milestones as the release of the long-awaited Aerospace Review (also known as the Emerson Report), the launch of four innovative Canadian satellites (as described in the February 25th, 2013 blog post on "the Real Winners of the PSLV-20 Rocket Launch"), Chris Hadfield becoming the first Canadian Commander of the International Space Station (ISS) and a key gathering of space business leaders at the 2013 CSCA National Conference. It has also seen continuing economic difficulties, and government space activity faced with an increasingly uncertain future. With government activity in decline and the private sector stepping in to fill the void, events like the Space Apps Challenge may well be the crucible in which the future is forged. "If man realizes technology is within reach, he achieves it. Like its damn near instinctive," according to Motoko Kusanagi, a charactor in the 1995 Japanese anime, Ghost in the Shell. The Friday chat between International Space Station (ISS) commander Chris Hadfield, Prime Minister Stephen Harper and students gathered at the Canada Aviation and Space Museum in Ottawa is an obvious reminder of how the political process has always been intimately connected to space exploration. Some of this is because of the political capital which normally accrues to those who hang with intellectuals and explorers. Typically, politicians pay back this capital in more tangible ways, with the hard currency of continued funding. But some don't and that's why the Friday conversation was so important. The Canadian Prime Minister is essentially testing the waters to see if political capital can be cultivated by addressing the current concerns over the Canadian Space Agency (CSA), as outlined in the recent David Emerson led Aerospace Review. Should this turn out to be so, it's quite possible that there will be some sort of announcement when the next Federal budget comes down on March 21st. The focus of parliamentary activity will then will shift to the House of Commons Standing Committee on Industry, Science and Technology (INDU), which is a committee with quite a bit of history in this area. In 2008, INDU initiated public discussions on the aborted sale of portions of space contractor MacDonald Dettwiler (MDA) to American-owned Alliant Techsystems (ATK). 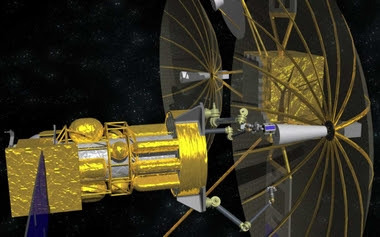 Out of these meetings developed the original Canadian consensus on the need for an updated long term space plan (LTSP) which was duly added to the original mandate of the then incoming CSA President Steve MacLean, in September 2008. 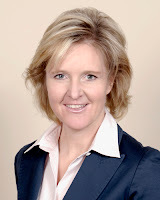 As outlined in the May 23rd, 2010 blog post "Feedback on "The Bill to Push Canada's Agenda in Space," INDU was also the parliamentary committee which MacLean approached in 2010 to ask for an extra two billion dollars over five years in order to "put us at the table" of international space activities. This is the closest our last CSA president ever came to publicly releasing his LTSP and provided the real key as to why the plan was rejected. 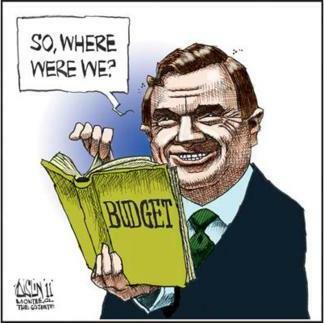 In essence, the MacLean LTSP cost two billion extra dollars over five years, which was simply too rich for the government. 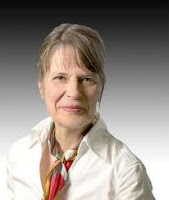 Most recently, on February 28th, 2013, the official opposition in parliment, led by NDP Industry critic Hélène Leblanc, tabled a motion to call David Emerson before INDU to "talk about the recommendations from his report on the aerospace sector." INDU membership normally includes the Industry Minister and various opposition MP's such as current Liberal MP (and ex-CSA president) Marc Garneau and NDP MP Peggy Nash, who initially brought the MDA/ATK sale to committee members in 2008, and is generally credited with being instrumental in halting the sale. 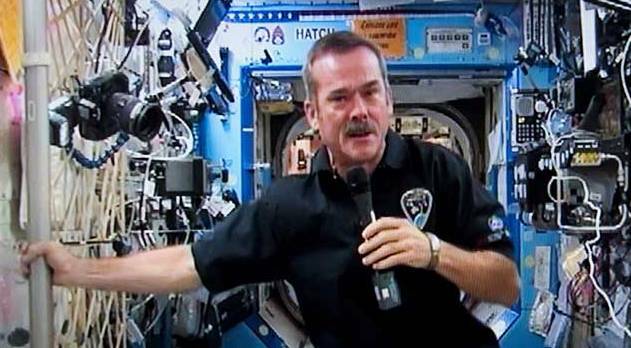 While it's not expected that astronaut Hadfield will be required to present before INDU anytime soon, there is little doubt that his recent PR explorations as the public face of the CSA, will be noted by INDU members and affect their upcoming deliberations. He should be congratulated on a job well done. Public feedback from the 6th national conference organized by the Canadian Space Commerce Association (CSCA 2013), which was held on Thursday March 7th in Toronto, ON and focused on commercial space resource utilization, has been generally positive, at least if you concentrate on the mass media articles and stories covering the event. According to the March 7th, 2013 Toronto Star article “Mining for gold in deep space,” the topic "sounds like the stuff of science fiction, but in fact, it’s already here says a growing list of mining and aerospace companies." The article went on to quote Dale Boucher, the director of product design, prototyping and testing at the Northern Centre of Advanced Technologies (NORCAT), a Sudbury-based training and technology development centre for the mining industry, as stating that, "Canada can take a leaders’ role (in this new area) by adapting existing mining legislation to include places like asteroids and the moon. 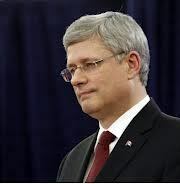 That would require international agreements, but Canada can certainly take a leading role." The March 7th, 2013 Globe and Mail article “Tech titans crucial to the next wave of space exploration" traced the genesis of the asteroid mining concept back to the 1970's and Gerald K. O'Neil, who argued that private enterprise was the key "to extending humanity's presence beyond Earth." 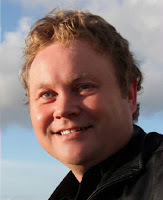 The article also quoted Silicon Valley entrepreneur Bob Richards, who left Canada in 2009 because of the then common perception that the Canadian space industry focused primarily on procuring government contracts. According to Richards, the present interest in asteroid mining is simply "the expansion of the economic sphere outward to where the resources are." The March 8th, 2013 Canadian Press article “Space: the final frontier for extra-terrestrial miners,” focused on how space mining could "become the dominant industry in the future." The article quoted CSCA President Arny Sokoloff, who noted that extra-terrestrial mining was mentioned in the recent Federal government Aerospace Review. According to Sokoloff, the government should encourage the industry, “in the very least,” by giving space companies some of the same tax benefits that Canadian mining companies currently receive. The article also quoted Gordon Osinski, the NSERC/MDA/CSA industrial research chair in planetary geology at the University of Western Ontario who said that “if those in government are watching things around the world and paying attention, this really is a potential niche area for Canada (to) take the lead." For those who'd like to learn more, the March 11th, 2013 SpaceRef.ca article “Prospecting the Solar System” included complete videos from many of the presentations and more are available on the SpaceRef Commercial Space Resource Utilization channel on YouTube. In the interests of full disclosure, it's also worth noting that both SpaceRef and the Commercial Space blog acted as media sponsors for the event. High flying BC based MacDonald Dettwiler (MDA) has announced an agreement with a syndicate of underwriters led by RBC Capital Markets, BMO Capital Markets and TD Securities to issue $250 million in new MDA common shares. The proceeds from the sale will be used by MDA to reduce outstanding bank debt and "support future growth opportunities." As outlined in the March 7th, 2013 MDA press release "MacDonald, Dettwiler and Associates Ltd. Announces $250 Million Offering of Common Shares," the firm has agreed to issue on a "bought deal" basis, 3,605,000 MDA common shares at $69.40 per share which will raise approximately $250 million CDN for the company. MDA has won a number of contracts from the US for on-orbit satellite servicing. MDA has also granted the underwriters something called an "over-allotment option" which will allow them to purchase up to an additional 540,750 common shares on the same terms and conditions, exercisable in whole or in part at any time following closing of the offering for a period of 30 days. 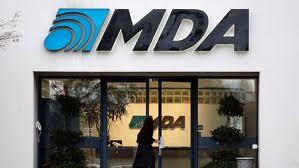 The shares will be offered by MDA under a short form prospectus to be filed in each of the provinces of Canada. The MDA order backlog was $2.9 billion in January 2013. This backlog included a $706 million contract from the Canadian government to help build the three satellites of the RADARSAT Constellation mission, which will be used to monitor Canadian territory for military and environmental purposes. 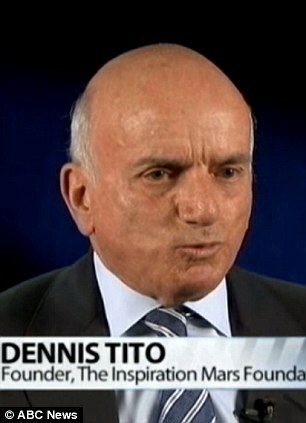 Dennis Tito, the engineer and multimillionaire entrepreneur who founded Wilshire Associates, an investment firm with $12.5 trillion dollars of assets currently under management, and became the world’s first space tourist when he paid his own way into orbit in 2001, has announced plans for a crewed flyby past Mars in 2018. At a news conference in Washington, D.C., Tito said he's tired of waiting for NASA to send humans to Mars, and that he'd help finance the between $1 and $2 billion needed to complete the mission, according to the March 1st, 2013 US News and World Report article "Expert: Dennis Tito's Mars Flyby Has '1-in-3' Chance of Succeeding." 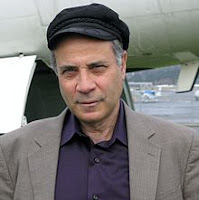 Mars Society president Robert Zubrin. The article also quoted Mars Society president and author Robert Zubrin as stating "I give them a 1-in-3 chance, but not for the technical reasons. It's a question of can they raise the money," he says. "This raises the question to NASA—'How come you haven't done this?' 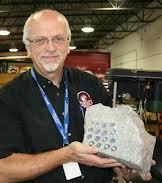 NASA has had a billion dollars before." This "Mission for America" will generate new knowledge, experience and momentum for the next great era of space exploration. It is intended to encourage all Americans to believe again, in doing the hard things that make our nation great, while inspiring youth through Science, Technology, Engineering and Mathematics (STEM) education and motivation. Tito has engaged a team of individuals from NASA and various aerospace firms including NASA Ames Research Center Director Pete Worden, former Biosphere II crew members Taber MacCallum and Jane Poynter, and former NASA crew surgeon Jonathan Clark. The team has even published a concept study entitled "Feasibility Analysis for a Manned Mars Free-Return Mission in 2018" which is available for download on the Inspiration Mars website. This paper has been in wide circulation for several weeks within government, industry, and space advocacy circles. The mission’s core premise is the use of an upgraded SpaceX Dragon capsule as the 2-person crew’s habitat for the entire mission. The capsule would be launched on a SpaceX Falcon Heavy rocket and follow a free-return trajectory to Mars and back. In its initial form, the mission would depart Earth on 5 Jan 2018, reach Mars on 20 August 2018, and return to Earth on 21 May 2019. The spacecraft would approach Mars within a distance of approx. 100 km for a maximum of 10 hours. Upon its return, the Dragon capsule would use Earth's atmosphere to slow down via aerobraking. After ten days, the Dragon capsule would touch down. Crew safety issues such as radiation, weightlessness, and psychological factors have prompted discussion of various countermeasures. These include water/lead shielding to mitigate radiation, regular exercise and drugs to counter weightlessness, and long-duration crew simulations to anticipate psychological issues. Although challenging, these issues do not seem to be considered show-stoppers by experts. Lacking a profit motive, Mr. Tito’s stated motivation for the mission is the rekindling of public interest in space exploration and, by extension, the STEM (Science, Technology, Engineering & Math) fields. Judging from several of Tito’s statements during the initial press conference, one might also detect a longing to make history…to forge a legacy. For all the inspiration that the mission would supposedly give to modern youth, serious questions remain about its cost/benefit rationale. With the objective being a flyby rather than a landing and with the proposed mission vehicle lacking scientific gear, neither significant science nor useful commercial activity can be done. Dennis Tito’s wealth can enable the launch of the mission, but what will sustain interest from the public once the spectacle ends? With no return for investors, how will Inspiration Mars attract investment capital for future missions? In other words, what will prevent Inspiration Mars from suffering the same fate as the Apollo program over forty years ago? The traditional, mass media has finally begun to notice that our next Canadian astronauts likely won't work for the Canadian Space Agency (CSA). 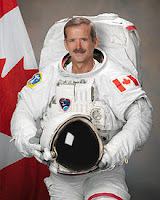 According to the March 3rd, 2013 Canadian Press article "Next Canadian astronauts could be flying commercial," four Canadians are currently training with private sector US based companies to be the next Canadian astronauts. Two of them, Erik Seedhouse, a Milton, Ontario based aerospace scientist and Kris Lehnhardt, a medical doctor who trained with flight surgeons at the Kennedy Space Center and now teaches at George Washington University, are currently training with US based Astronauts4Hire, a 501(c)(3) non-profit formed in 2010 to recruit and train qualified scientists and engineers for the rigors of spaceflight. The second two, "a former Manitoba bush pilot" and "an ex-Snowbirds pilot," according to the article, were first profiled in the June 3rd, 2012 blog post "Meteorites, ITAR, a Secret Consortium of Research Universities & Astronauts from Manitoba," and the May/ June 2012 issue of Canadian Aviator magazine. Winnipeg natives Rob Bendall, a former bush pilot and Vince Jandrisch, an ex-Canadian forces Snowbird demonstration pilot will be among the first to fly paying customers to the edge of space aboard the Virgin Galactic fleet of suborbital spacecraft. The first commercial flights are expected sometime in 2014. The CSA has confirmed that there are currently no scheduled flights of Canadian government astronauts beyond Chris Hadfield, who will complete his five-month visit to the International Space Station (ISS) in May 2013. However, a CSA official has indicated that it's still possible that one more Canadian government astronaut could go to the ISS before the end of the decade.